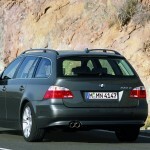 Traditionally BMW enthusiasts have taken pride in knowing that their cars were rear wheel drive only. 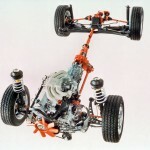 Perfect for weight distribution and it focuses the front wheels on what they should focus on – steering. 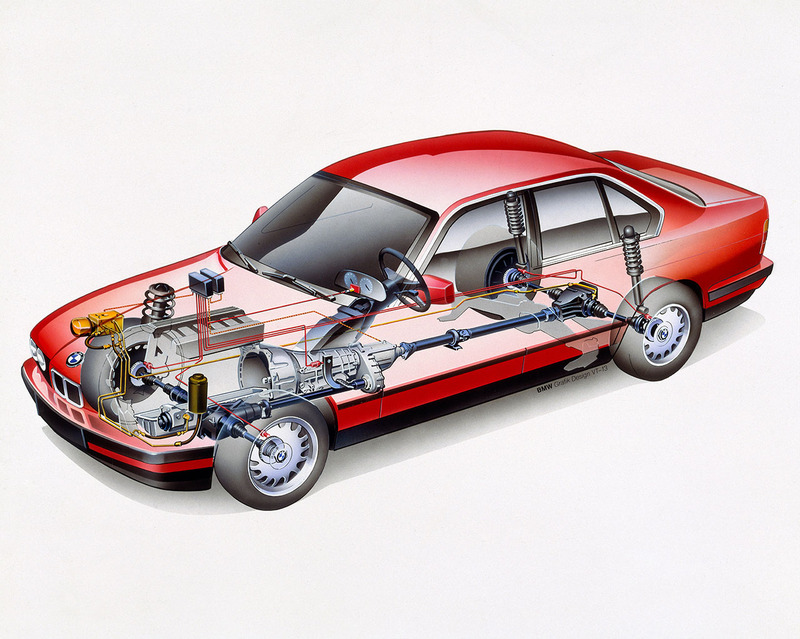 Some would argue there’s a purity in feel and performance with the classic RWD set-up. 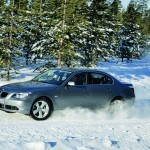 Yet there is always a need in the snow-belts of the world for more traction. 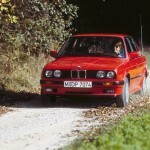 It was this that led BMW to create the first “Allrad” 325i in 1985. 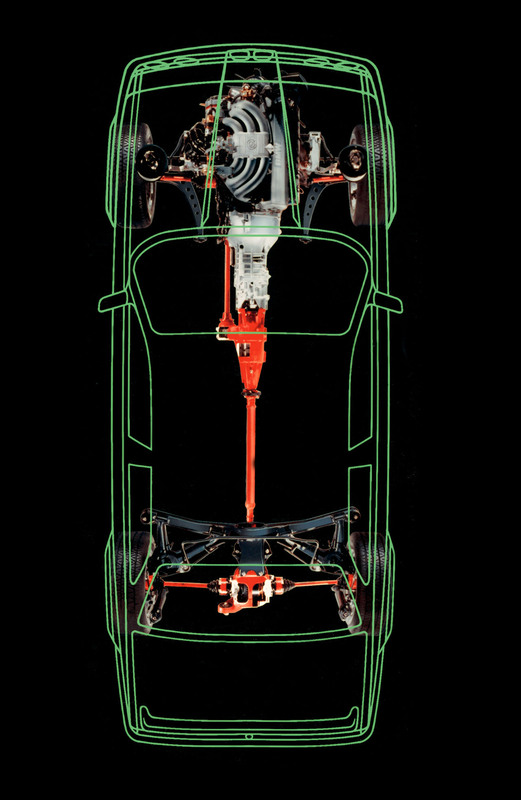 Fast forward 30 years and all wheel drive isn’t just about traction and safety, it’s also about performance and even efficiency. 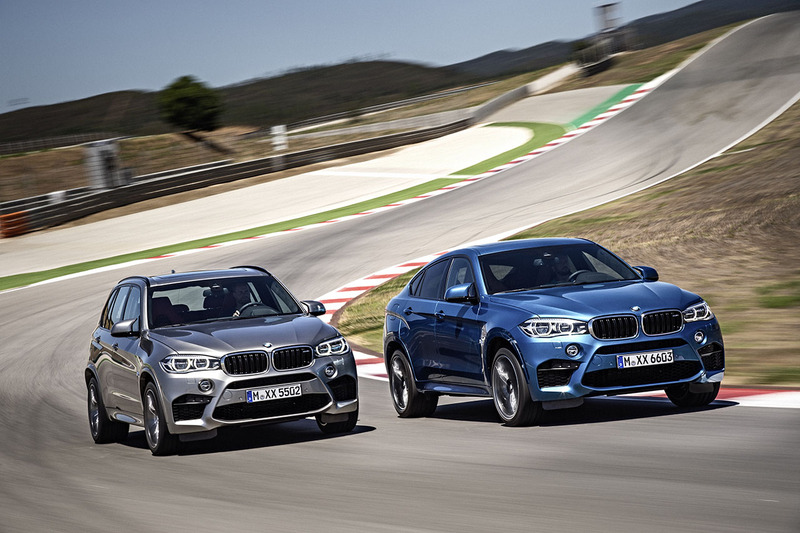 That’s where we turn to BMW’s official press release. 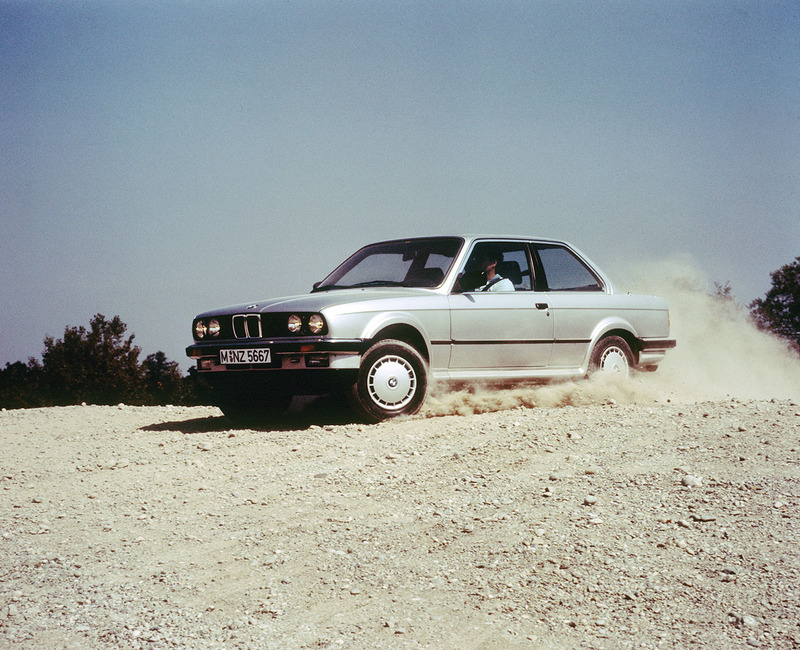 Don’t worry, we’ve edited some of the self-congratulatory portions out to focus a bit more on the history of BMW All Wheel Drive. 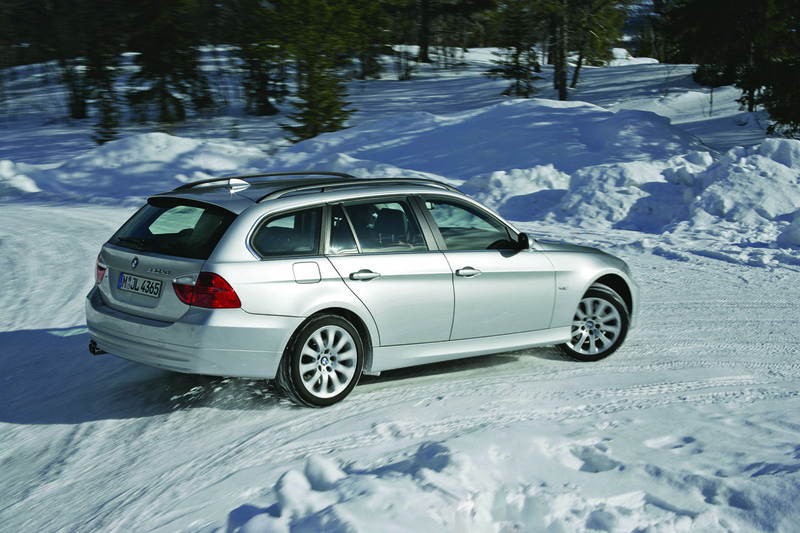 The focus from day one: traction and dynamics. 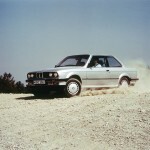 Official Release: BMW’s first foray into the all-wheel-drive market came with the unveiling of the BMW 325i “Allrad” at the Frankfurt Motor Show (IAA) in 1985. 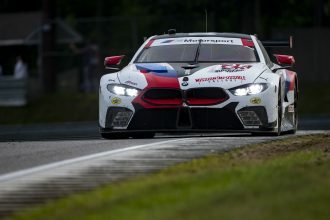 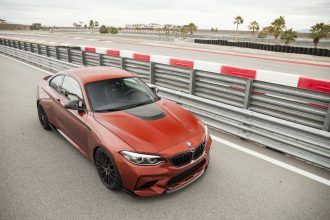 From the outside, the newcomer didn’t immediately reveal its inner qualities, so its performance when the journalists took it out on the test track was even more of an eye-opener. 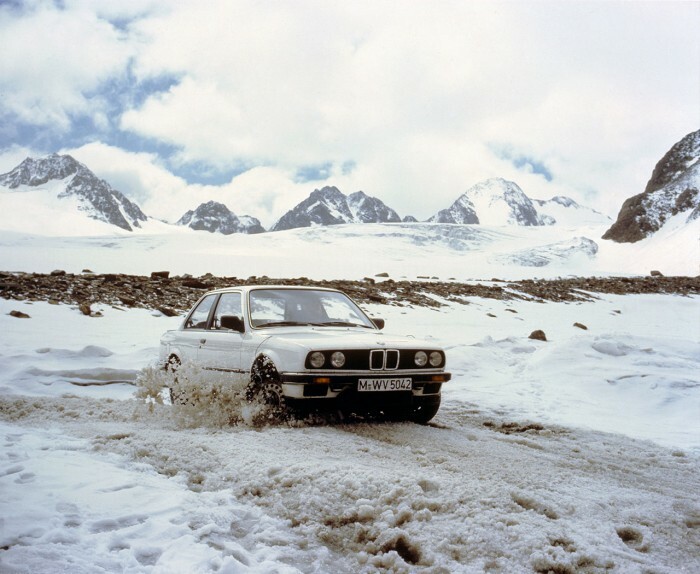 This very first BMW all-wheel-drive system not only improved traction away from surfaced roads and in adverse weather conditions, but also made for more dynamic handling through corners. 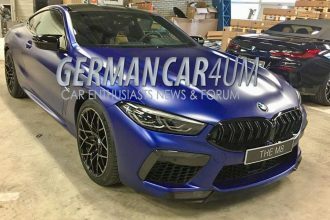 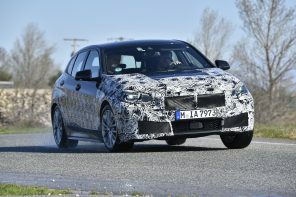 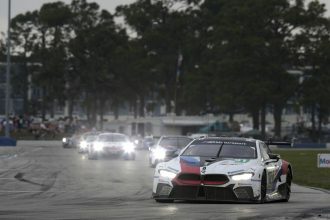 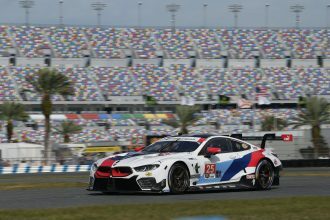 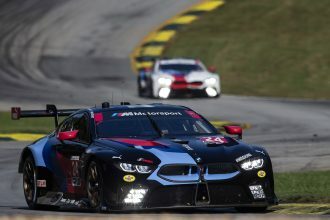 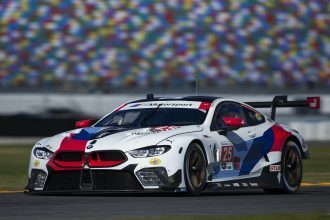 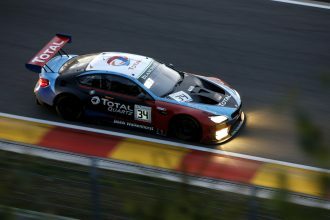 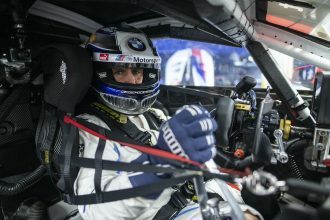 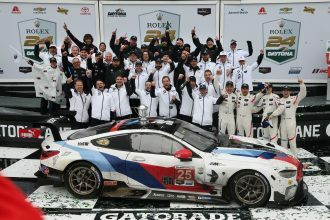 “The new BMW is the new champion when it comes to handling,” was the verdict of the testers from German car magazine Auto Zeitung not long after the first unveiling. 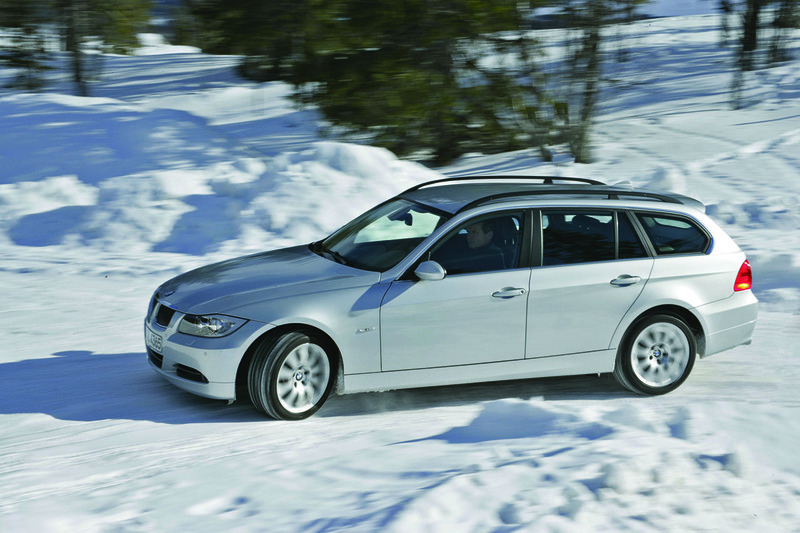 Today, the intelligent BMW xDrive all-wheel-drive system takes typical BMW driving dynamics to new levels. 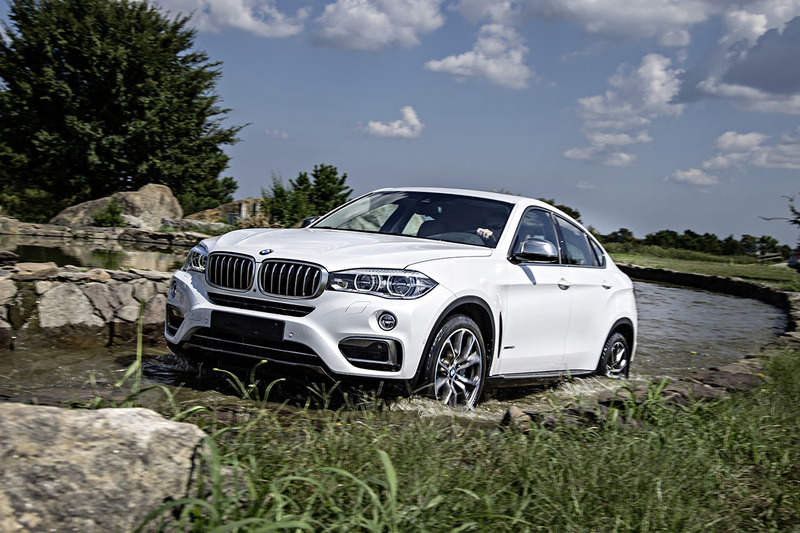 The current generation of this system is controlled by the Integrated Chassis Management (ICM) system, which ensures that xDrive always responds appropriately at the earliest possible moment, based on reliable sensing and monitoring of the current driving situation. 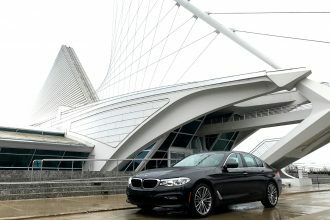 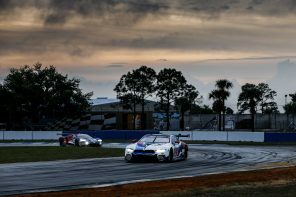 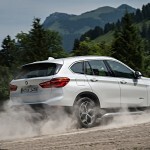 The interventions may be performed either entirely by BMW xDrive, or by xDrive in combination with Dynamic Stability Control (DSC) or Dynamic Performance Control (DPC). 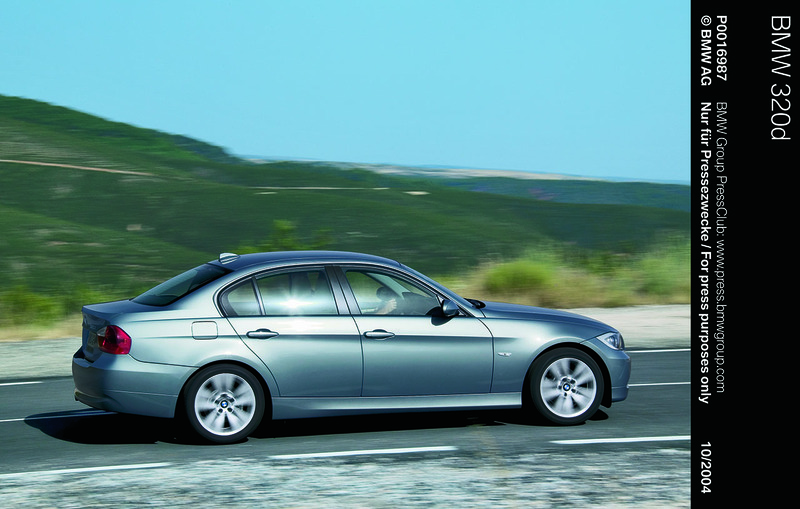 The resulting fast and precise control of drive power distribution ensures typical BMW handling characteristics even under extremely dynamic cornering. 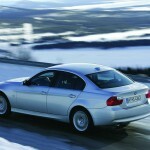 The all-wheel-drive system is biased towards the typical BMW rear-wheel-drive characteristics. 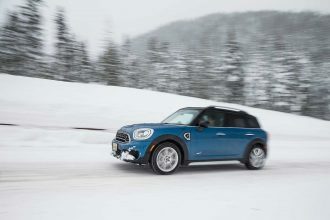 That is to say, on the all-wheel-drive models a greater share of the drive power is sent to the rear wheels, even under normal driving conditions. 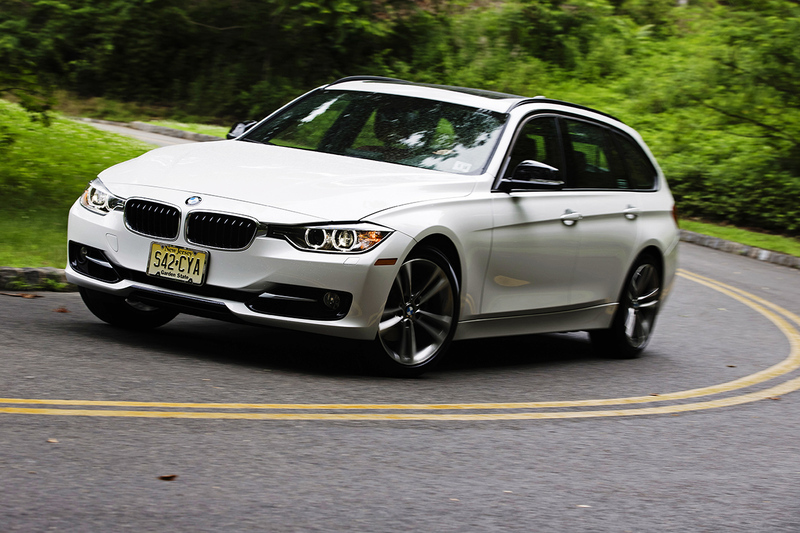 This maintains the typical BMW precise steering response, with virtually no torque steer. 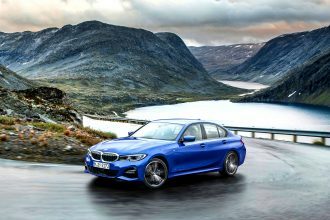 For crisp turn-in and high tracking stability, the latest-generation BMW xDrive system starts increasing the amount of power sent to the rear wheels as soon as the vehicle enters a corner, further enhancing the driving pleasure for which BMW is a byword. 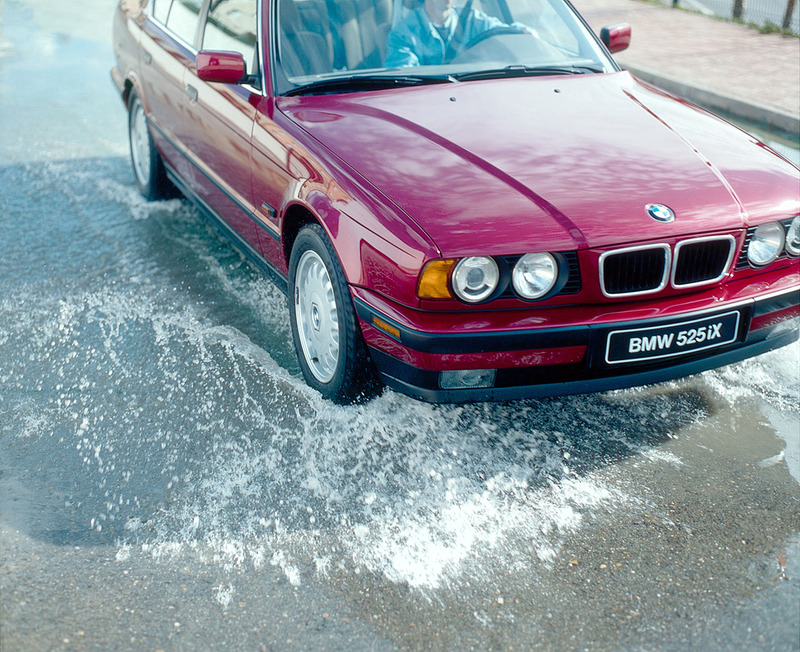 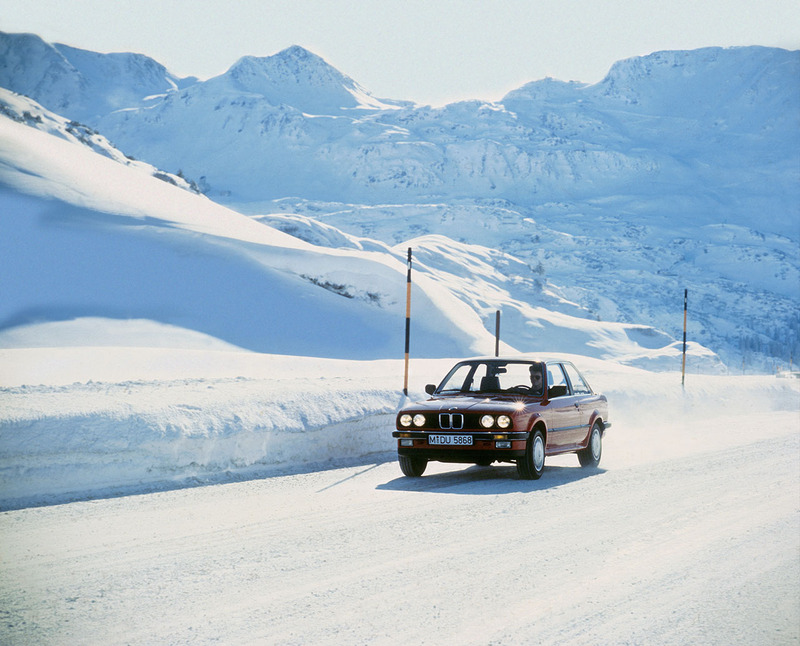 BMW all-wheel-drive technology: continuous evolution since 1985. 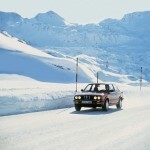 The full-time all-wheel-drive system featured on the BMW 325i “Allrad” of 1985 split the drive power in a ratio of 37 to 63 per cent between the front and rear wheels. 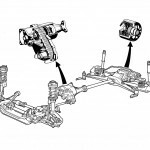 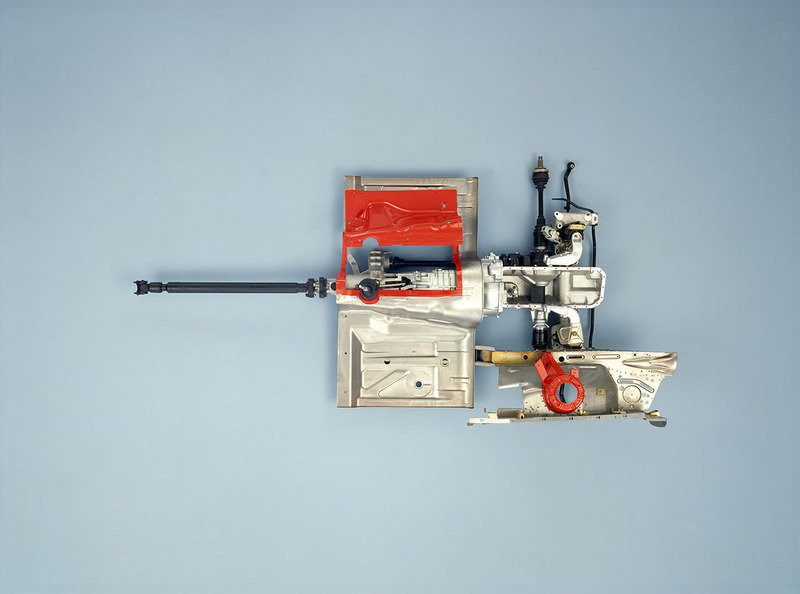 In response to wheel speed differences, visco locks in the transfer case and rear differential were capable of providing a virtually rigid connection between the front and rear wheels, in order to improve traction and stability. 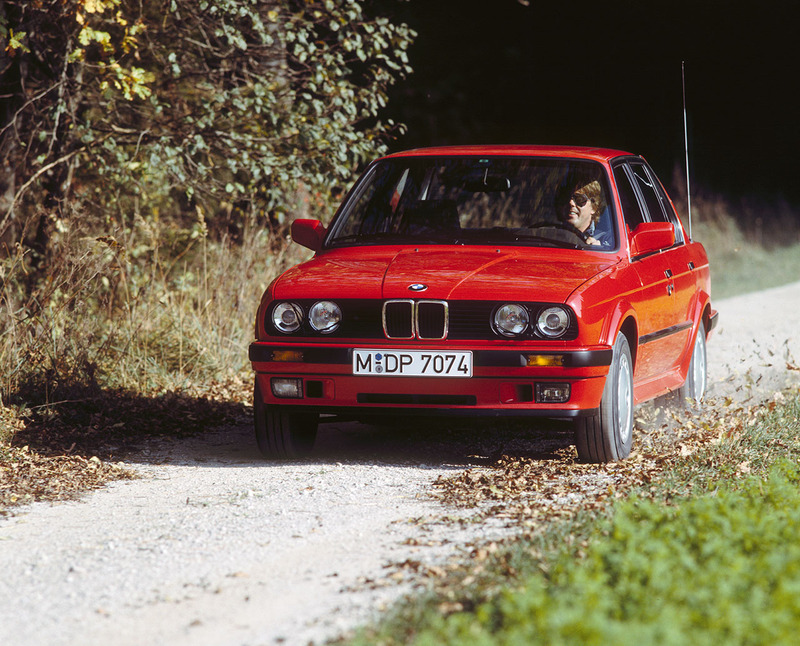 This model’s name was soon changed to BMW 325iX, and from 1988 it was offered in a “touring” version as well (lower-case spelling up to and including the E46 series). 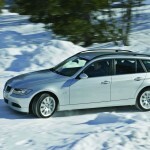 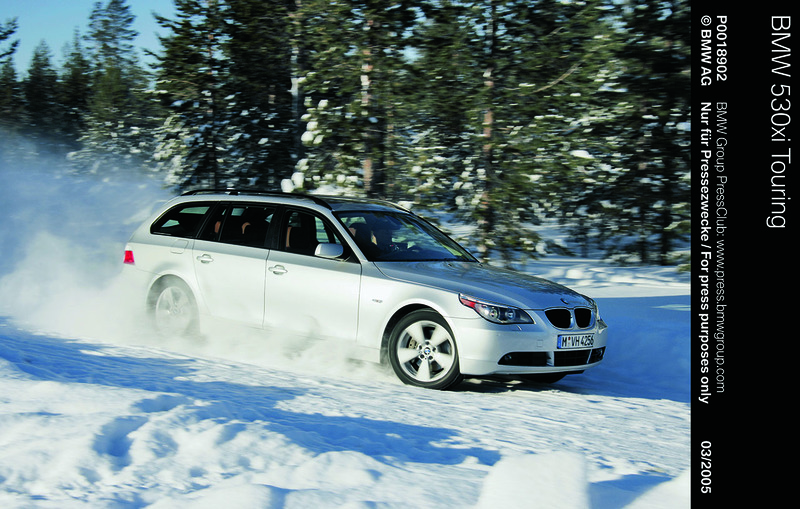 Three years on, BMW introduced an all-wheel-drive model in the BMW 5 Series too. 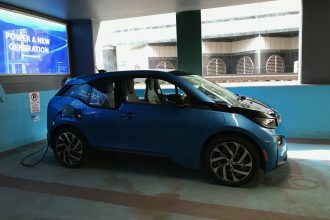 For the first time, the power split was now electronically controlled. 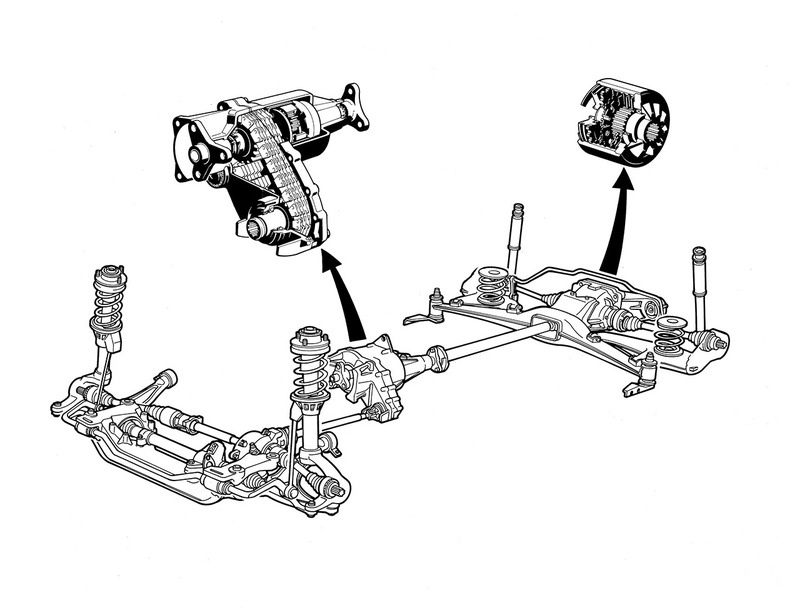 The newly developed system featured multi-plate clutches that allowed the default 36:64 front-to-rear power split to be varied seamlessly and automatically in line with driving conditions. 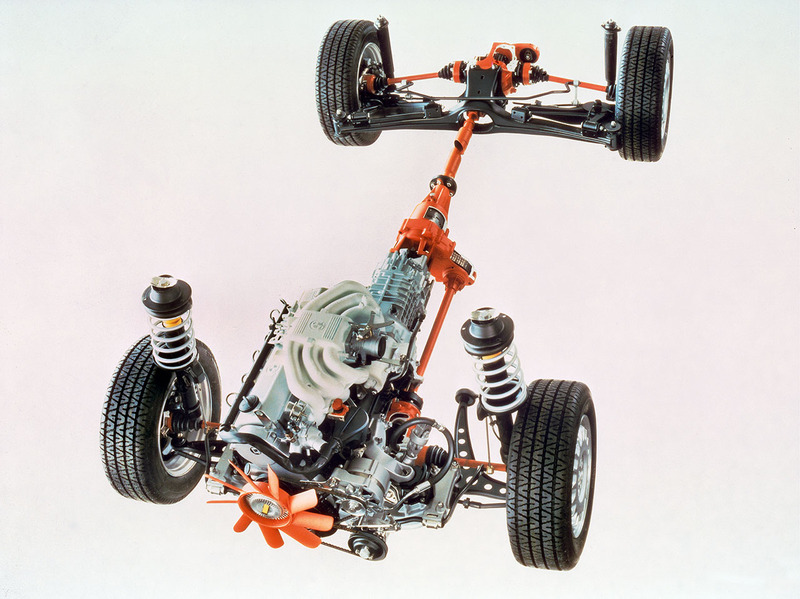 Initially a hydraulically controlled multi-plate clutch was used at the rear axle, but this was later replaced by electronically controlled selective braking intervention. 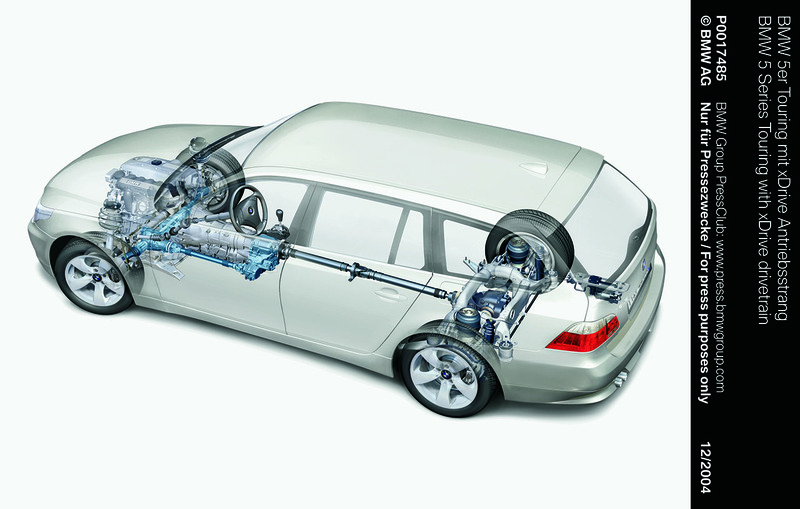 The system monitored the driving situation using wheel speed signals from the Anti-lock Braking System, supplemented by further information about brake status, engine speed and throttle valve position. 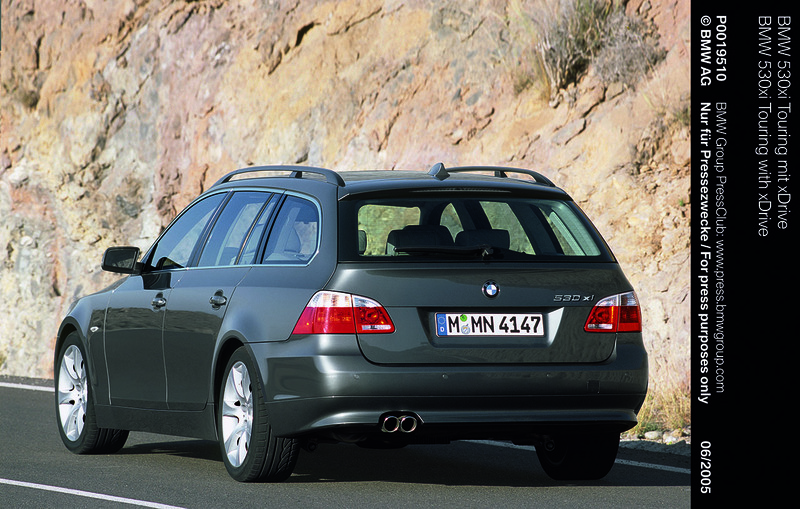 From the outset the all-wheel-drive system of the BMW 525iX was a class apart. 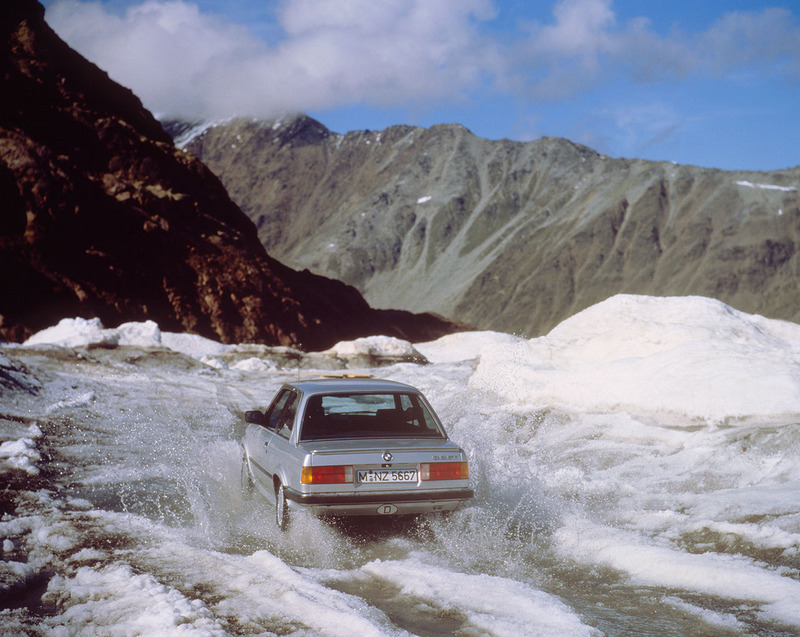 The electronic control system delivered a very fast and precise response, resulting in safe, neutral handling characteristics even in difficult driving conditions, such as on wet roads or snow. 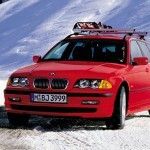 In the BMW 5 Series, too, the first all-wheel-drive models were offered in both Sedan and touring versions. 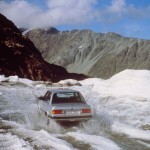 1999: The Sports Activity Vehicle (SAV) opens a new chapter. 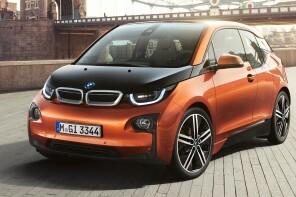 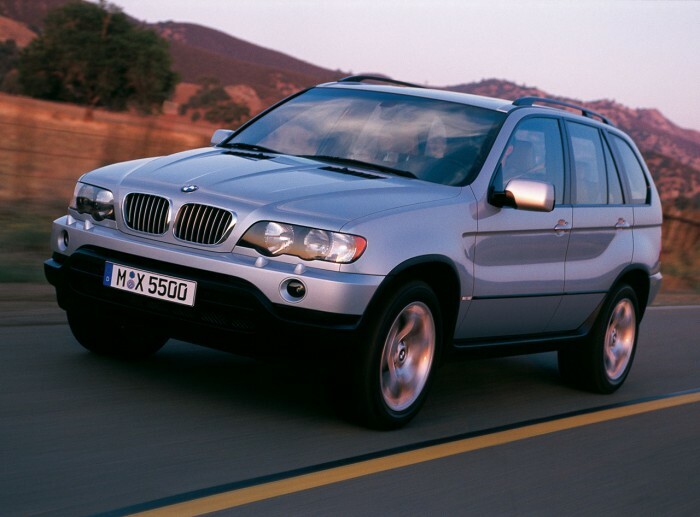 In the run-up to the new millennium, a highly innovative vehicle concept from BMW made its sensational debut. 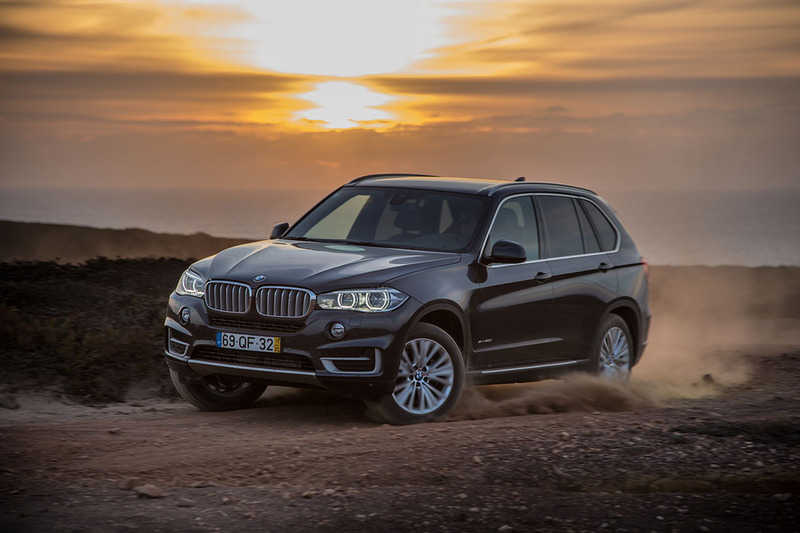 The BMW X5, the first Sports Activity Vehicle (SAV), impressed customers with driving dynamics that were unmatched among other all-terrain vehicles of the time. 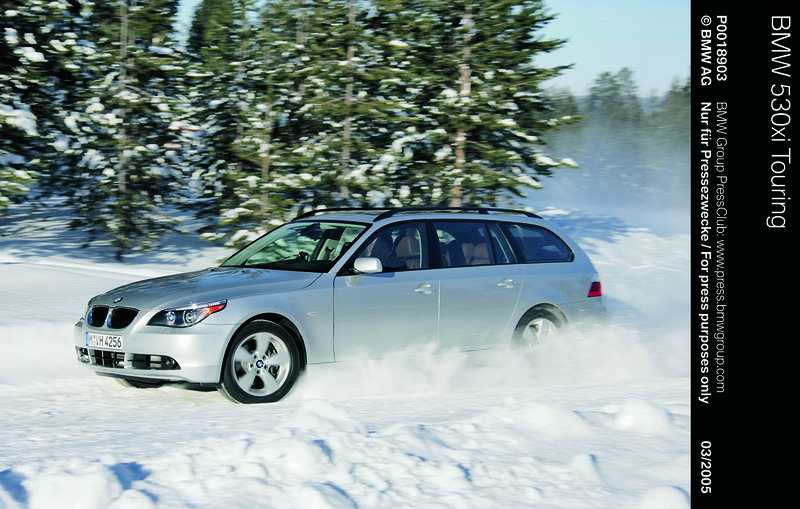 The outstanding all-wheel-drive system played a big part in this. A planetary gear system split the drive power in a ratio of 38:62 per cent between the front and rear wheels, while electronic control systems such as DSC (Dynamic Stability Control), ADB-X (Automatic Differential Brake) and HDC (Hill Descent Control) ensured the new BMW X5 was both sporty on the road and equipped to handle challenging conditions off the beaten track. 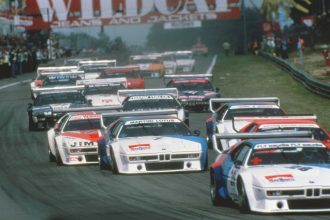 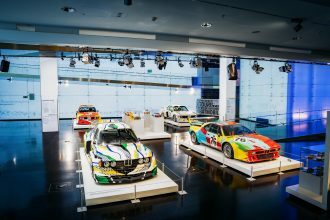 In the years following the successful launch of the SAV concept, there was no let-up in the fast pace of all-wheel-drive development at BMW. 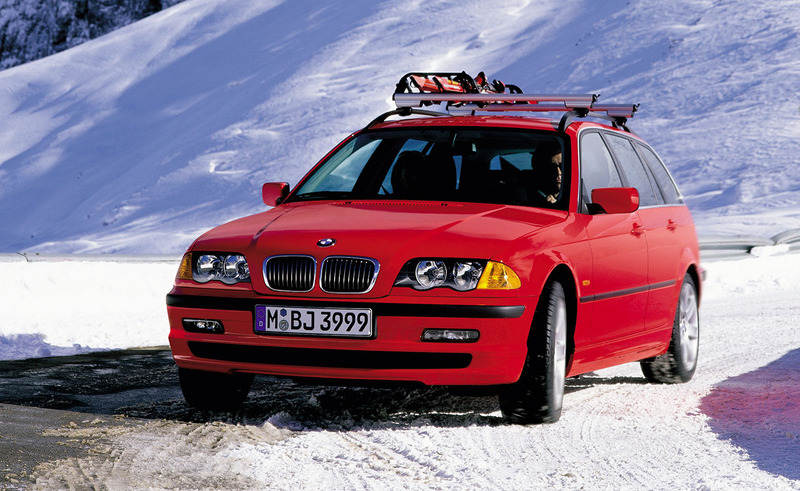 The next year, 2000, a model-specific version of the BMW X5’s all-wheel drive technology became available for the fourth generation of the BMW 3 Series. 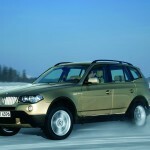 2003: BMW xDrive makes its debut in the BMW X3 and BMW X5. 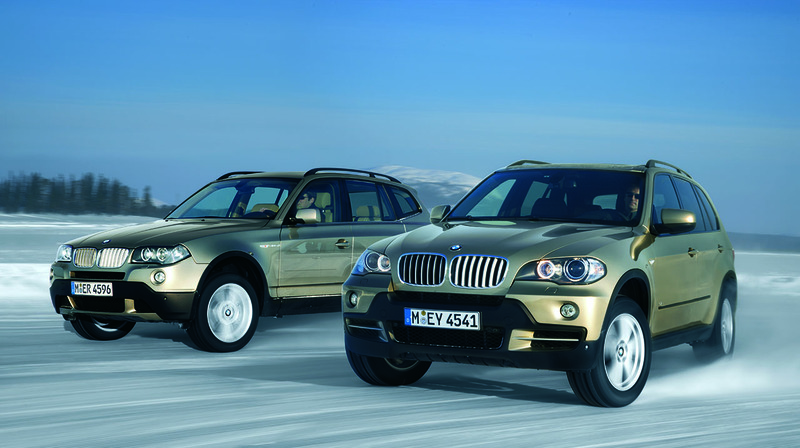 Four years on from the debut of the BMW X5 in 1999, BMW kept up the momentum by launching the SAV concept in a further vehicle segment. 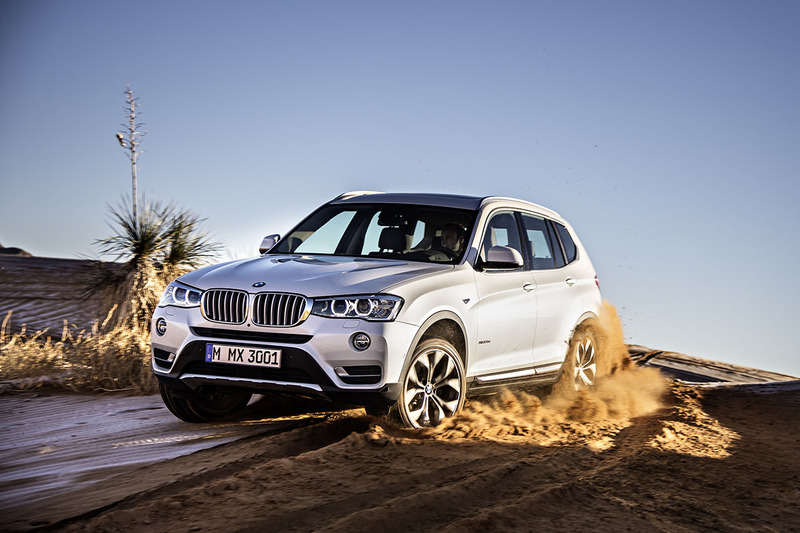 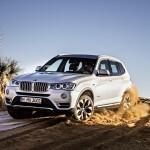 The new BMW X3 was more compact than the BMW X5 and offered even more agile handling. 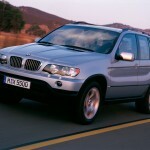 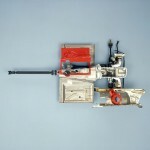 It set new benchmarks and remained the only premium model in its class for years to come. 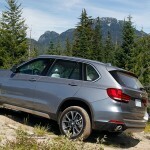 The newly developed BMW xDrive all-wheel-drive system, which was introduced in the same year in both the BMW X3 and the BMW X5, soon extended BMW’s lead in the AWD segment. 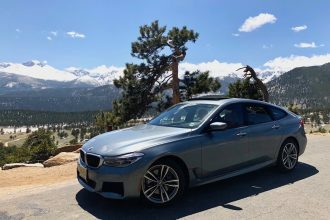 Based on an extremely fast-acting electronic multi-plate clutch in the transfer case, xDrive worked in tandem with the Dynamic Stability Control system (DSC) to continuously adapt the drive power split to the current driving situation. In addition to wheel speed, for the first time the electronic control system also took into account Dynamic Stability Control data, for example about steering angle, accelerator position and lateral acceleration. 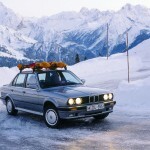 This is what makes BMW xDrive the world’s first, and still only, “intelligent” all-wheel-drive system. Unlike conventional all-wheel-drive systems, which only react when at least one wheel is already spinning, xDrive is able to detect a risk of oversteer or understeer at the very first signs, and proactively corrects this by redirecting the flow of drive power. 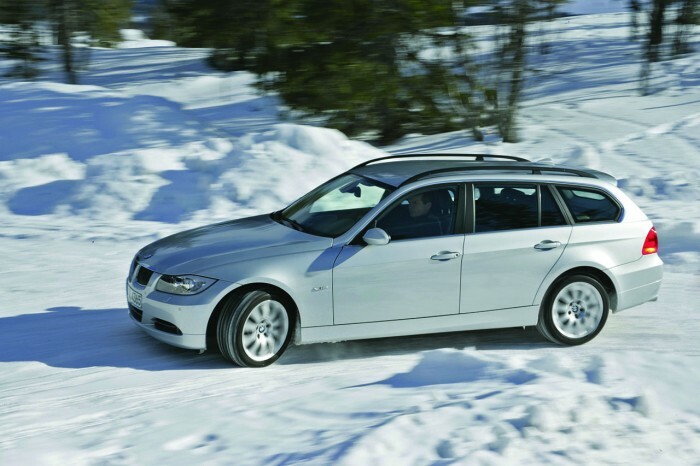 In the years that followed, the BMW xDrive intelligent all-wheel-drive system was fitted not only on the X models but also on the xDrive versions of the BMW 3 and 5 Series Sedan and Touring models. 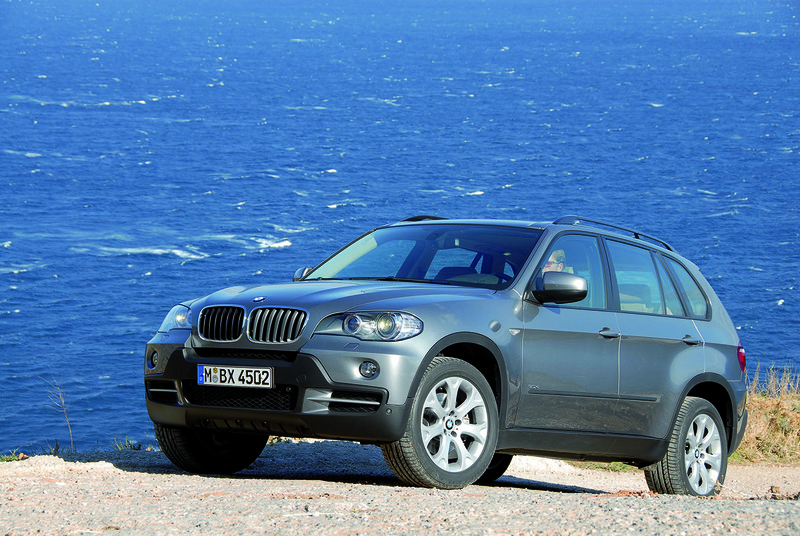 By the time the second generation of the BMW X3 was introduced in 2010, more than 600,000 units of this series had already been sold worldwide. 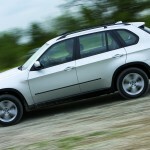 A little earlier, sales of the BMW X5 – which entered its second generation in 2006 – had topped the one million mark. 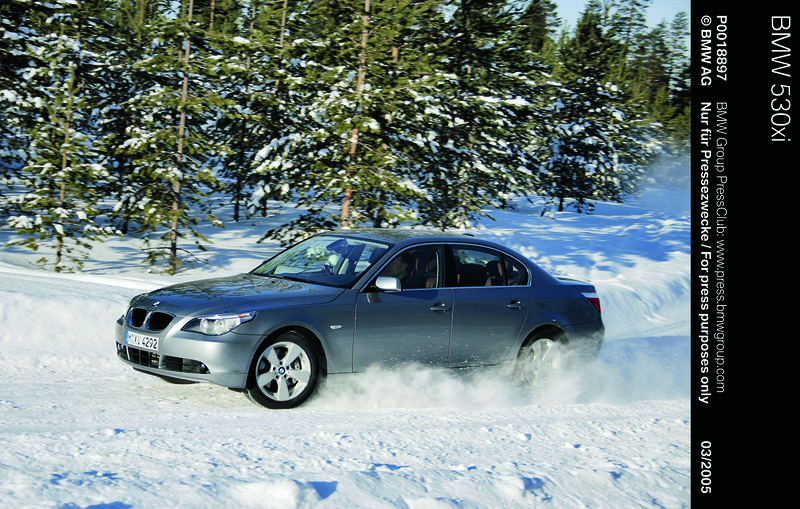 2008: SAC with Dynamic Performance Control and hybrid drive. 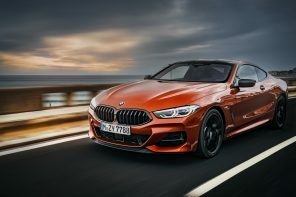 With the two Sports Activity Vehicles now firmly established in their respective segments, in 2007 BMW went on to present the world’s first Sports Activity Coupe. 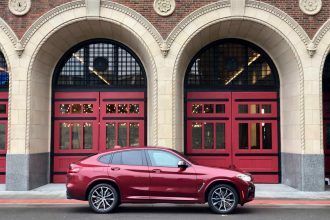 Unveiled at the Frankfurt Motor Show (IAA), the brand-new BMW X6 elevated the typical dynamic character of the BMW X models to a new level of intensity. 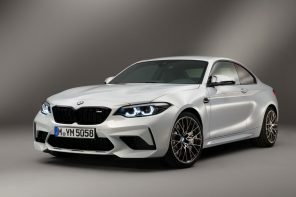 For the first time, the intelligent all-wheel-drive system was combined with Dynamic Performance Control (DPC), which varies the drive power split between the rear wheels when cornering to ensure unrivalled agility and stability, even under sudden throttle changes or on overrun. 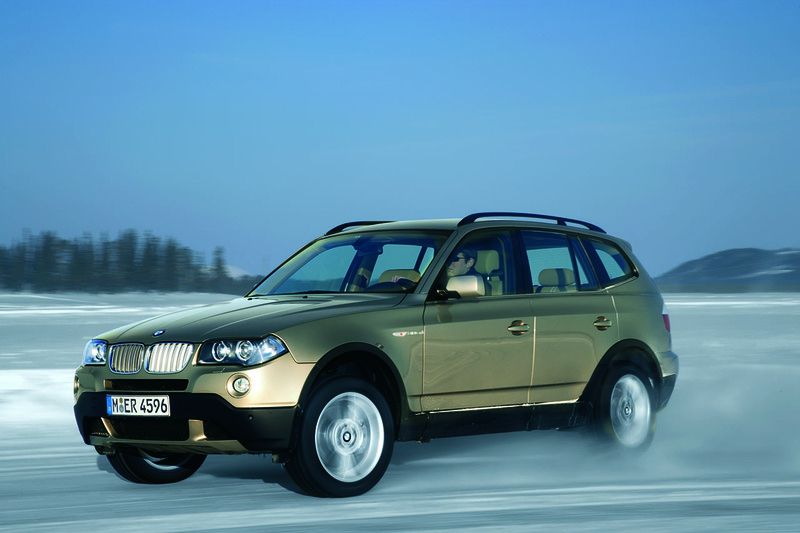 In 2009, the BMW Active Hybrid X6 demonstrated a further perfect pairing – between BMW xDrive and hybrid propulsion. 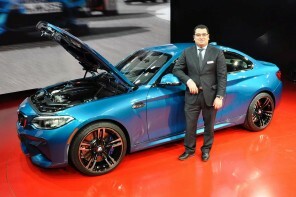 Meanwhile, in the same year, BMW M GmbH added two very special models to its range of high-performance sports cars. With an M-tuned BMW xDrive system, including Dynamic Performance Control, the BMW X5 M and BMW X6 M boasted performance that was previously unknown in the all-wheel-drive market. 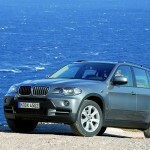 2009 also saw the arrival of a new X model, the BMW X1. 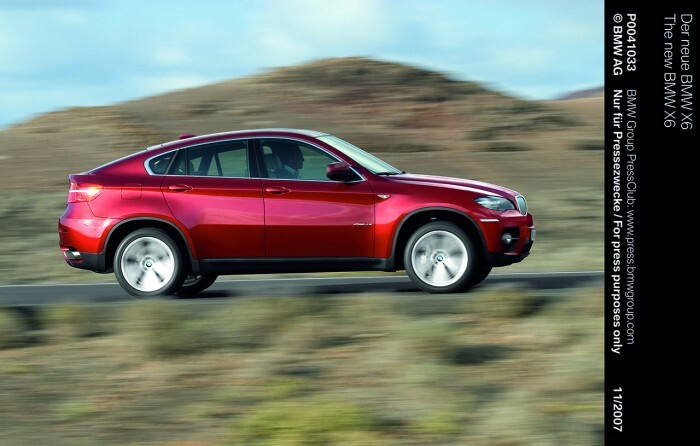 For many years to come, the BMW X1 was destined to remain the only vehicle of its kind in the premium compact segment. 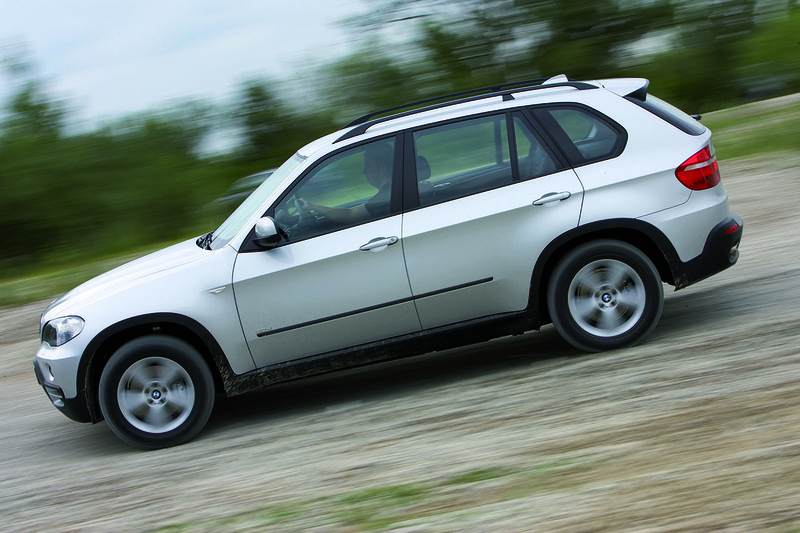 Its intelligent BMW xDrive all-wheel-drive system, like that of the new BMW X3 (2010), was also combinable with Performance Control. 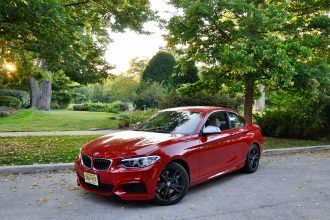 This system selectively brakes the wheel on the inside of a turn while simultaneously increasing engine power, resulting in quick and precise turn-in to corners and taking the agile handling of both models to new levels. 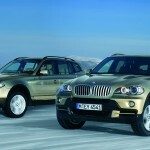 BMW xDrive also available for other model series. 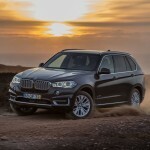 The steady advance of the BMW X models has been accompanied by an increase in the number of xDrive versions offered in the other BMW model series too. 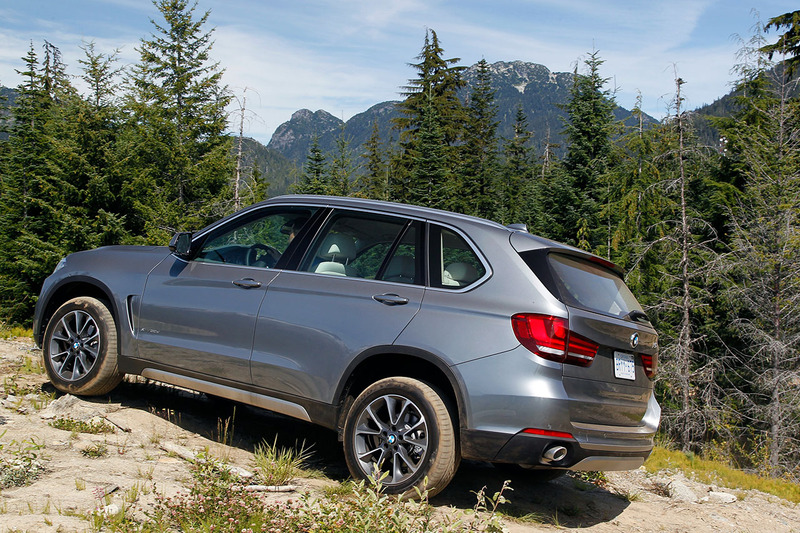 Designed to improve cornering agility and precision, BMW xDrive provides an enhanced driving experience and an optimal combination of dynamics and comfort. So it was only a matter of time before this intelligent drive technology made its debut in the BMW 7 Series as well, in 2009. 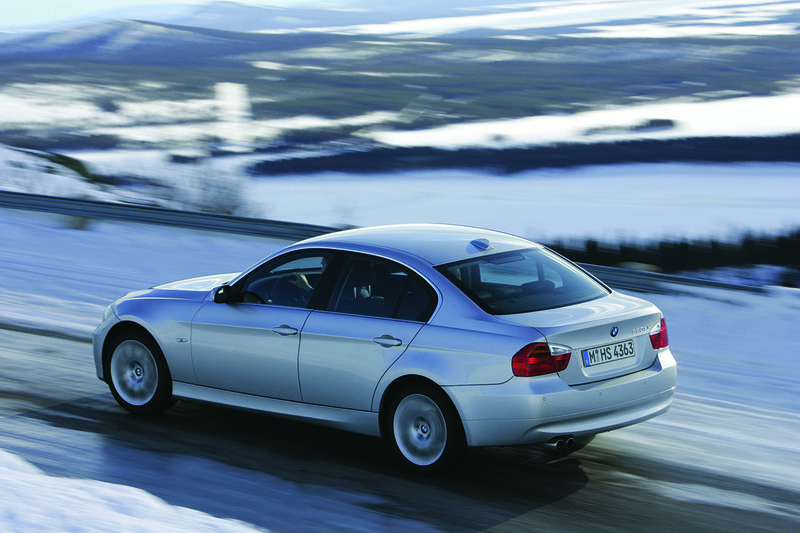 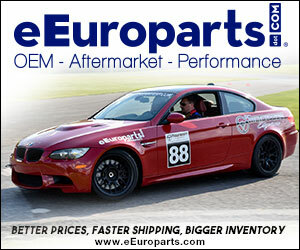 In spring 2012, the first all-wheel-drive Coupe and Convertible models were then offered in the sporty BMW 6 Series. 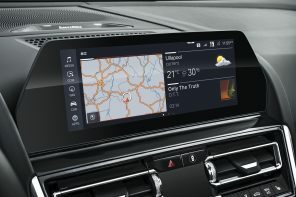 BMW xDrive can also be specified on the current BMW 3 and 5 Series and, since 2013, on the Convertible, Coupe and Gran Coupe models of the new BMW 4 Series. 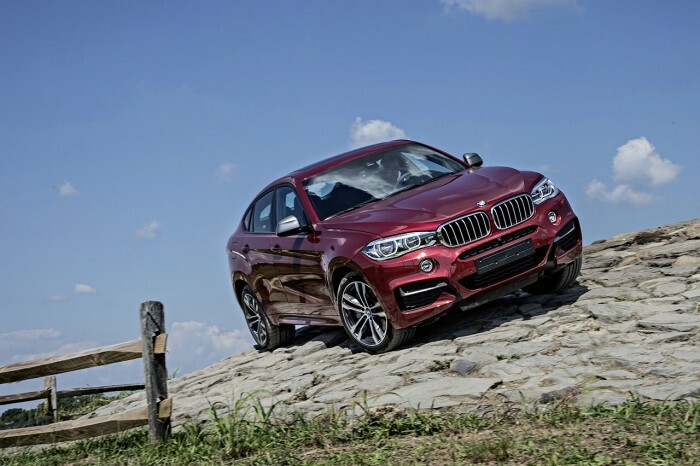 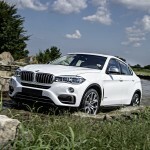 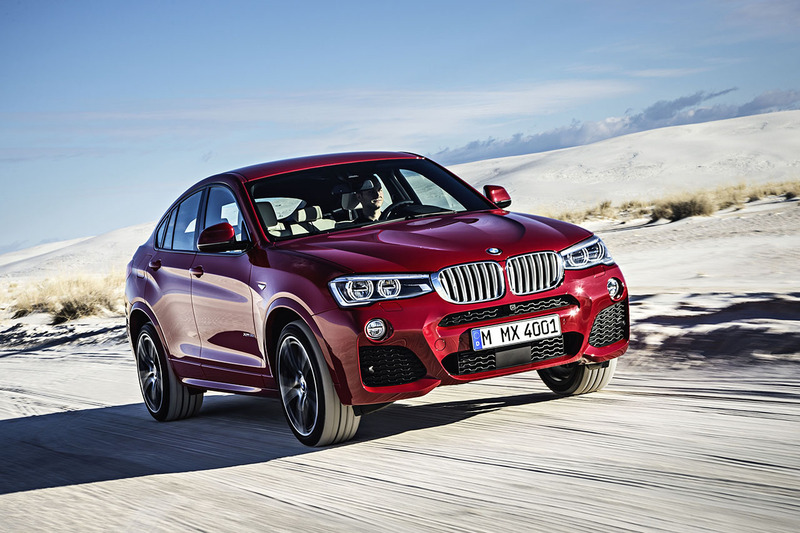 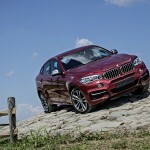 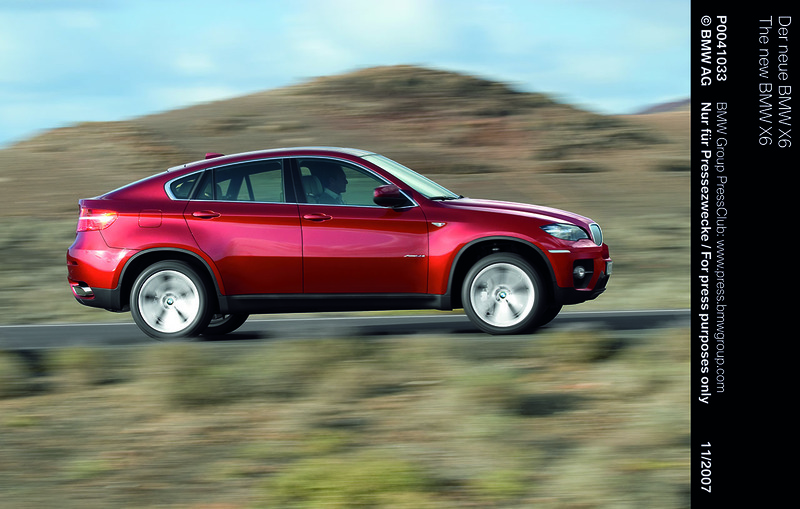 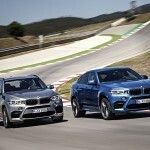 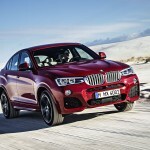 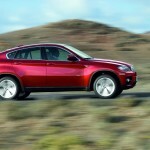 BMW took things forward in the premium mid-sized segment with the launch of the BMW X4 in 2014. 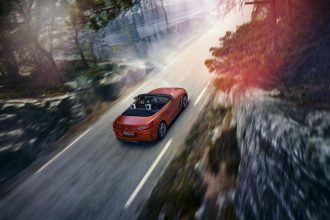 The new Sports Activity Coupe offers a unique blend of driving enjoyment, sophisticated style and contemporary practicality. 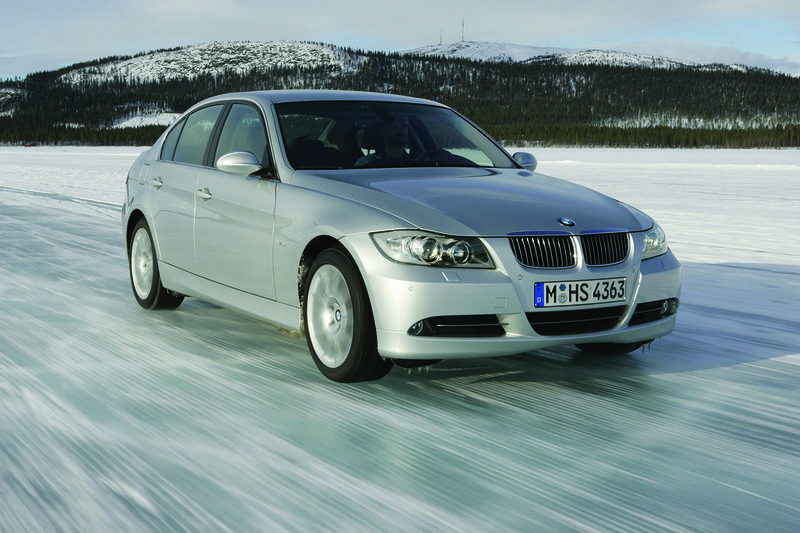 It comes with BMW xDrive as standard and is available in a wide range of engine versions. 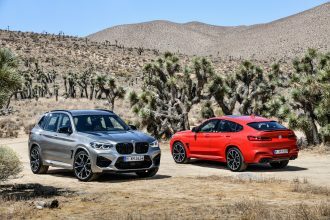 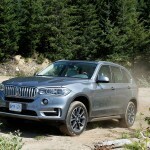 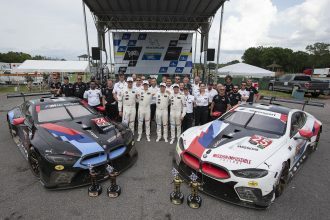 In the same year, BMW also presented the third generation of the BMW X5, the second generation of the BMW X6, and M Sport versions of both models. 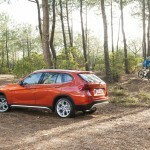 BMW xDrive also made its debut in the new BMW 2 Series Active Tourer. 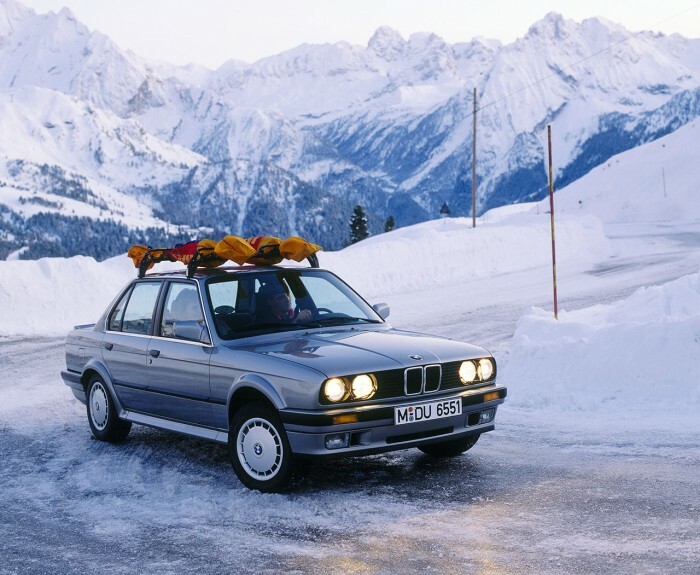 This was a debut with a difference, being the first time BMW had combined its intelligent all-wheel-drive system with an all-new front-wheel-drive format. 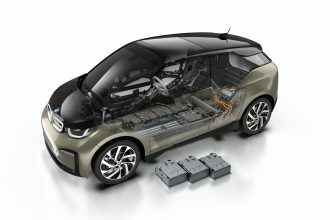 With the BMW i8, unveiled in 2014, the BMW Group took a bold new step in new directions – which also extended to the all-wheel-drive system. 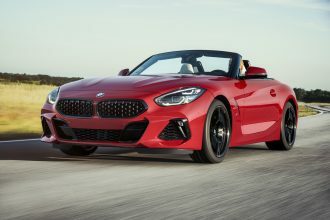 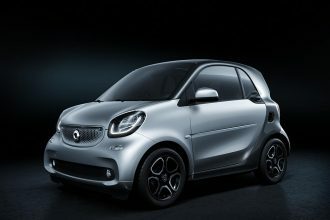 This 2+2-seater sports model is powered by a highly advanced plug-in hybrid drive system that pairs an internal combustion engine driving the rear wheels with a high-performance electric motor driving the front wheels. 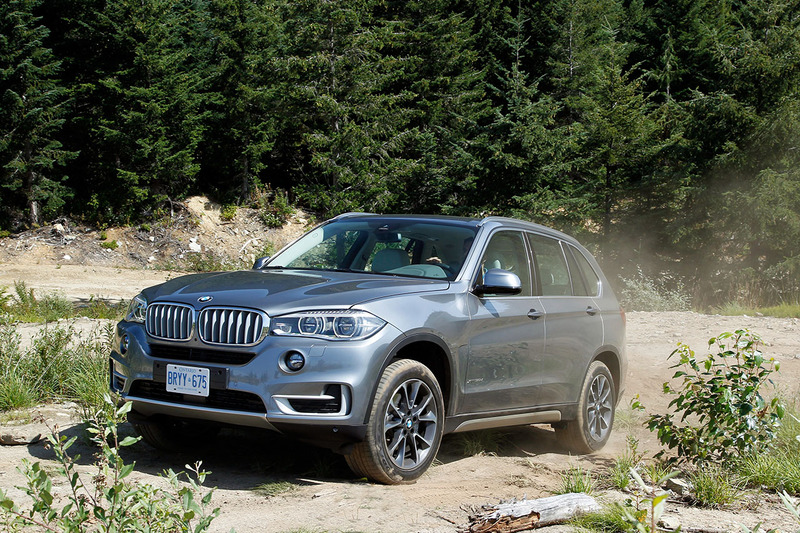 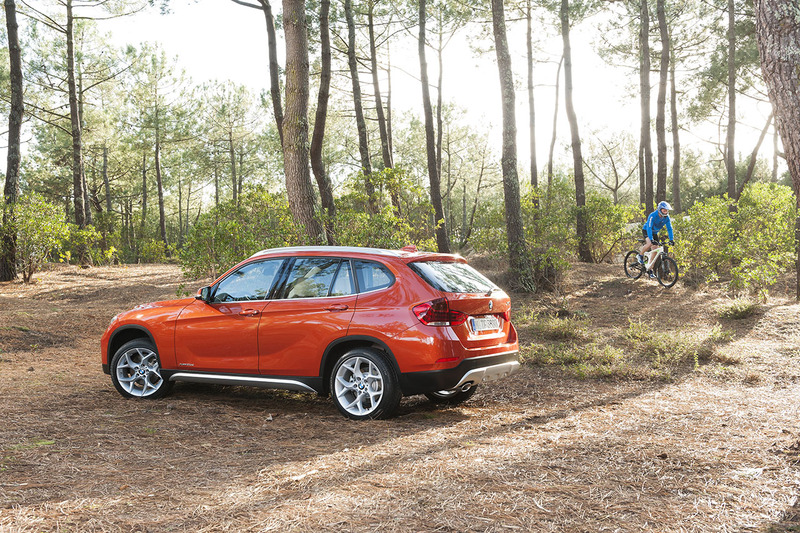 Focused on the future: BMW xDrive meets BMW eDrive. 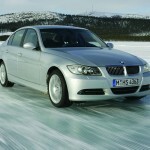 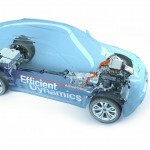 BMW’s latest all-wheel-drive models bring technology advances that are firmly focused on the future of mobility. 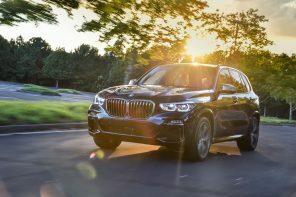 The BMW i8 was followed by the international launch of the first production plug-in hybrid model from the BMW core brand: the BMW X5 xDrive40e. 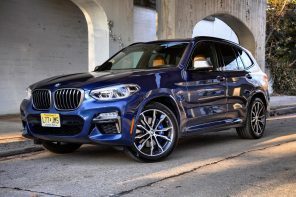 Thanks to full-time BMW xDrive all-wheel-drive and eDrive BMW EfficientDynamics technology, this Sports Activity Vehicle mates thrilling and effortless sporty performance with outstanding efficiency. 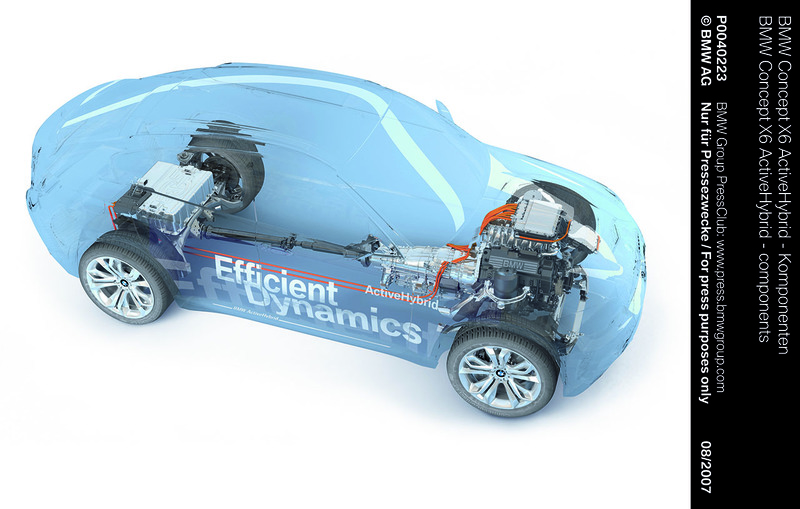 Intelligent hybrid power management synchronises the operation of the internal combustion engine and the electric motor to maximise efficiency at all times, while also responding perfectly to the driver’s demands. 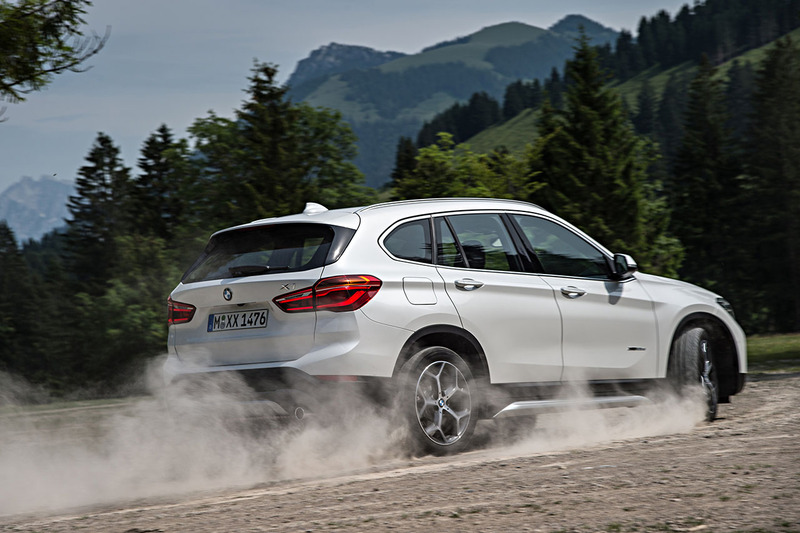 The drive from the two power units is transferred to the road via the full-time BMW xDrive intelligent all-wheel-drive system. 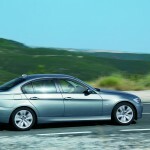 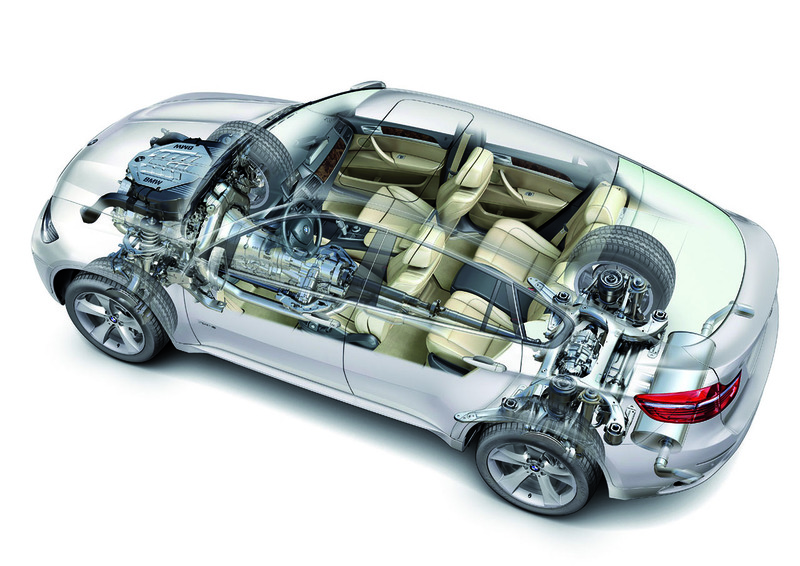 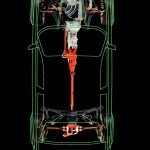 BMW 7 Series: Integral Active Steering combinable with BMW xDrive. 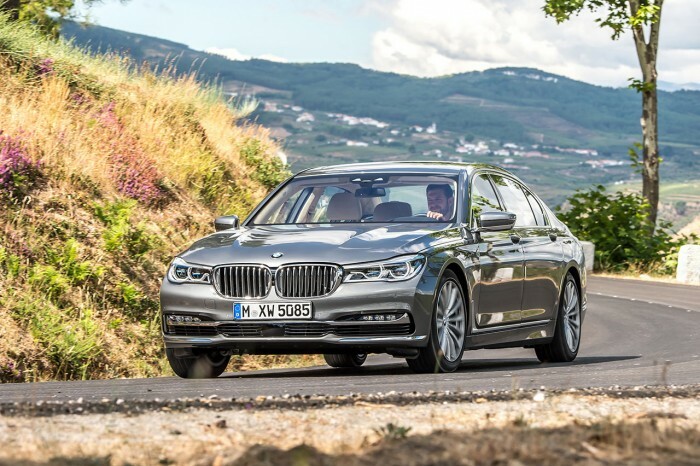 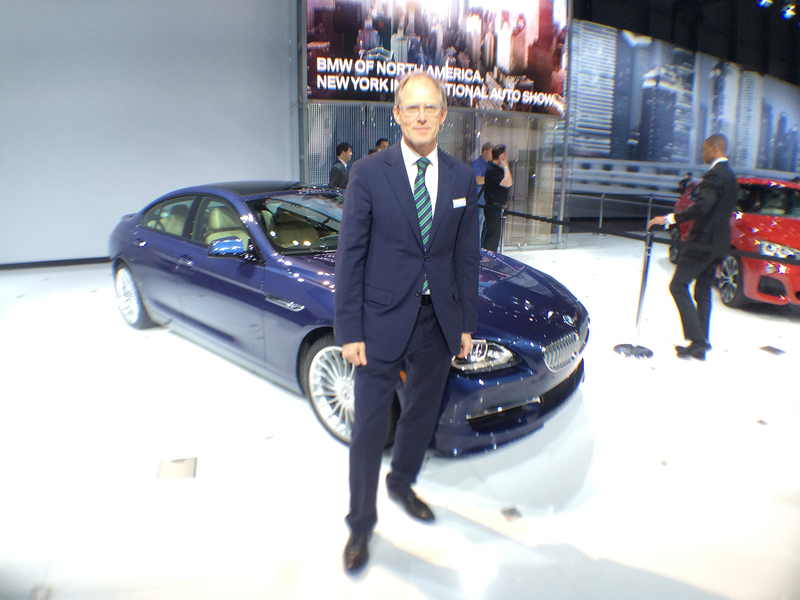 In September 2015, the sixth generation of the BMW 7 Series makes its world debut at the Frankfurt Motor Show (IAA). 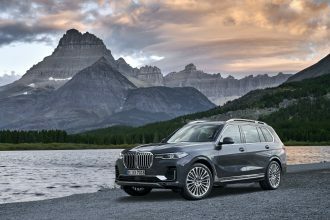 This high-end BMW luxury model pioneers groundbreaking innovations on all fronts, and will be available with BMW xDrive from its market launch in October. 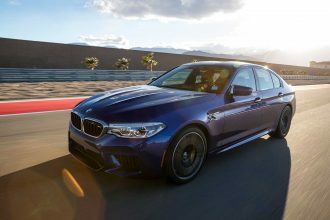 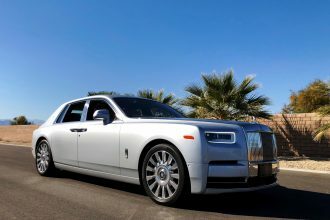 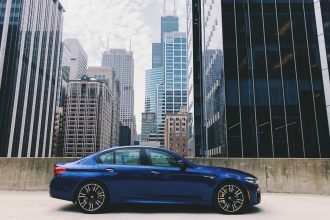 The new luxury sedan will also be the first model to allow intelligent all-wheel-drive to be combined with Integral Active Steering – that is to say with passively steering rear wheels. 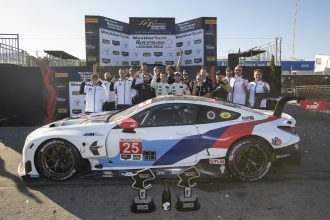 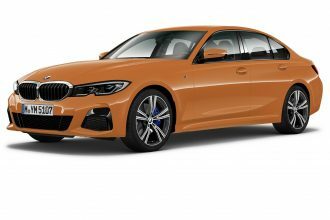 Matte Finishes Coming to the M3? 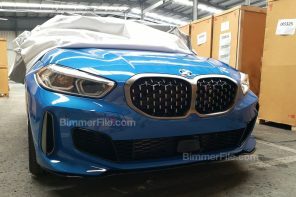 We ‘ve heard trough several sources recently that BMW is busy perfecting the process of matte paint finishes through the help of a supplier….